For the 100th post of this blog I’d like to share my review of the DVD version of “Let England Shake”. 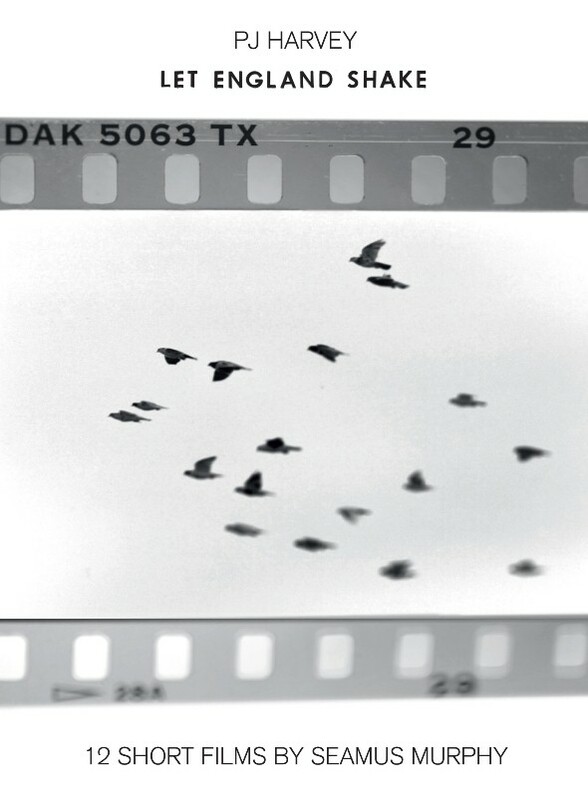 PJ Harvey “Let England Shake” – 12 Short Films By Seamus Murphy is a collaboration that started when PJ saw Seamus’ exhibition and book of photographs ‘A Darkness Visible: Afghanistan’ and decided to make a couple of films for her new CD. 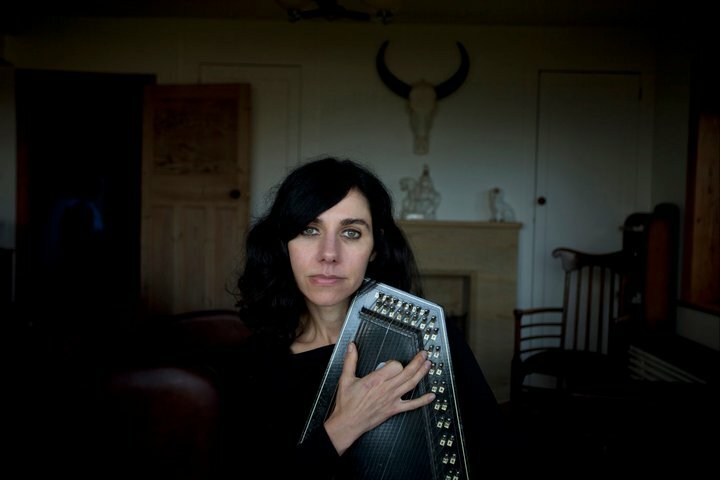 It is a powerful tour-de-force that combines poetry, rock music, video and still images to weave a multi-textured narrative of Seamus’ road trip across England, and PJ Harvey’s haunting performances of her songs. It’s also the debute of Seamus as a film maker who has covered war torn countries around the world for decades in his photographs. Each of the twelve films starts with seemingly random strangers reading the first verse of the songs. These performances are at times serious and at times tongue in cheek outtake-like clips. This adds to the sense of joy in the production found throughout the film which was made entirely in-camera. After the brief reading the film than cuts to PJ’s singing or the footage of Seamus’ road trip which run the gamut from idyllic sea and countrysides to hectic city streets. The video and stills are edited together so that they reinforce each other: moving when you expect stillness and stillness when you expect movement. All the while working in near perfect unison with the music. Sometimes, the materials match up too nicely for my taste – like crashing ships and crashing waves in Track One – but that’s just being picky. In general it works beautifully like when cutting from the human skeleton to PJ or from the old woman to PJ – the ephemeralness of human life. One of the more memorable scenes is the old folks in a dance hall swaying their hips (unbeknownst to them) to PJ’s song titled “The Words That Maketh Murder” – the video and audio incongruence is perfectly surreal. Then there’s the slightly out of focus projected images of people being pointed to by a disjointed hand from inside a camera obscura. All the while with the lyrics “I’m going to take my problem to the United Nations” playing over top. There are a few recurring images that symbolize death such as the sea, fog and snow. One particularly potent image is a line of roses along an iron chain by the docks on a grey snowy day. Roses are repeated again when soldiers lay them on top of a hearse at a memorial service for a fallen comrade. Lots of beautiful flowers in the snow images makes one wonder what flowers in the winter? Then there are the images of death portrayed in Seamus’ war photography interspersed throughout the DVD. For the majority of the piece the adventures overseas are subtly alluded to by shots like the Afghan rug hanging on a roadside railing in the snow. The film is not so much a contrast of war abroad and peace at home but rather the signs of death brought back and remembered through the everyday living. If all the images of actual war were removed from the film this message would still come through effectively. After watching the DVD I went to Seamus’ site to look at his still photos and found much sensitivity and poetry in his war photography. Which is a striking contrast when compared to his shots of regular life in the film which are at times tinged with violence and sadness. This entry was posted in Films, Street Photography and tagged black and white, dvd, england, film, kodak, music video, pj harvey, rock music, seamus murphy, street photography, tri-x, war photography by Adventures in Photography. Bookmark the permalink.